Stuart Smith BSc. (Hons) MCIEEM. National Vegetation Classification (NVC); Phase I habitat survey; Phase 1 &2 impact surveys; Site Condition Monitoring, UKBAP Habitat Surveys. Preparation of reports, Ecological Impact Assessments, Environmental Statements, Management Plans. European Protected Species license holder in Scotland for great crested newt. Knowledge of habitat management, restoration and creation. Knowledge of ESRI Arc View GIS 3.2. Freelance Ecological Consultant, Jan 2003 to present. Scottish Power Energy, 2014. Afton Road Windfarm Access: NVC survey, European Protected Species Survey, Breeding Bird Survey, EIA. Carillion, 2014. Railway Electrification between Cumbernauld and Shotts: Ecological Clerk of Works, Great Crested Newt Survey. Bancon Developments Ltd, 2013. Maidencraig Housing Development, Aberdeen: Phase 1 Habitat Survey, EPS survey,Badger mitigation, EIA and mitigation report. SKM, 2012. Windfarm sites at A Chruac, Dell and Ederline: NVC survey, Otter and Water vole surveys. Forestry Commission Scotland, 2011-13: Several Open Space Survey (UKBAP Habitats). Npower, 2011-13. Devol – Waterhead Moor Proposed Transmission Line: Vantage Point Watches, Moorland Bird survey, protected Species Survey. NPower 2010 – 2013. Farr/Kyllachy Estates Windfarm, Inverness: Vantage Point Watches, Moorland Bird survey, protected Species Survey. Northern Ecological Surveys, 2010. Gordonbush Windfarm: Habitat Condition Assessment and Monitoring. Scottish Coal, 2010.Pennyvenie Quarry Opencaste Coal Site: Ecological Assessment. Forestry Commission Scotland, 2010. Eldric Hills SCM: Contrasting Burnt/Unburnt Areas. East Lothian Council, 2008: Smeaton Bing Ecological Statement. Site Condition Monitoring of Ayreshire grasslands for client SNH, 2008: Aldons Hill, Knockdaw Hill, Ledalfoot Hills, Littleton and Balhamie Hills, Pinbain Burn to Cairn Hill. West Dumbartonshire Nature Conservation Strategy, 2008. Review of Nature Conservation Strategy. Armadale Masterplan , 2008: Proposed Development, Scoping Study, Phase 1, EPS, EIA. Forestry Commission Scotland, 2008. Ancient Woodland Survey (PAWS). National Trust for Scotland, 2007. NVC survey of Ben Lomond SSSI. Site Condition Monitoring of Strathclyde & Ayrshire Marsh and Swamp, 2007: Bishop Loch, Bogton Loch, Dullater Meadows, Feoch Meadows. Scottish Wildlife Reserves, 2007. NVC survey of selected reserves. CCW, 2008: NVC survey and SCM of selected habitats of the Brecon Beacons. Forestry Commission, 2006: NVC predictive survey in areas of Glen Affric. Forestry Commission, 2006: NVC and breeding bird surveys around Loch Katrine. Native woodland regeneration and management recommendations. Arran Wind Power 2006. Cnoc an Fheidh Wind Farm, Isle of Arran: Protected mammal and vegetation chapters of Environmental Statement. Countryside Council for Wales, 2006. Site Condition Monitoring of all Welsh Saltmarsh SAC’s. Greenpower, 2005. Craigendhill Farm, South Lanarkshire. Greenpower, 2005. Townfoot Farm, South Lanarkshire. Greenpower, 2005. Swinton Quarter Farm, Berwickshire. Countryside Council for Wales, 2005. Site Condition Monitoring of Berwyn Mountains SAC. English Nature Site, 2005. Condition Monitoring of North Pennine SAC. 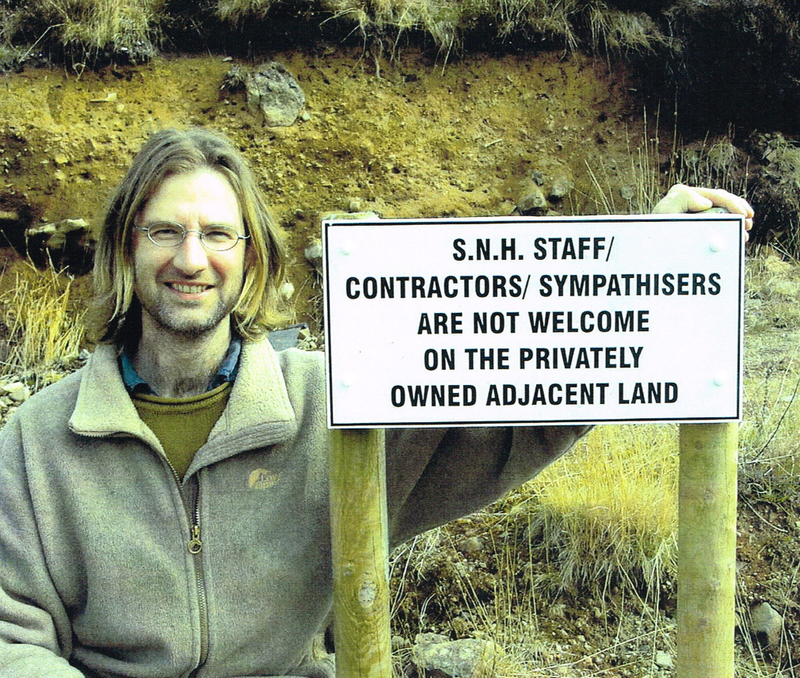 English Nature Site, 2005. Site Condition Monitoring of North York Moors SAC. SNH, 2005. Site Condition Monitoring of Glen Affric SAC. SNH, 2005. NVC surveys and management/restoration plans for selected Lanarkshire raised mires. Central Scotland Forest Trust, 2005/6. Site surveys and management woodland planting recommendations. SNH, 2005: NVC Borders SSSI’s: Abby St. Bathens Woodland,Hermanlaw, Newhall Glen, Pease Bridge. Lanarkshire Council, 2005. Salsburg Moss Vegetation Survey and Management Recommendations. NVC survey of Arran Moors SPA and Arran Mountains SAC for client SNH, 2003-4. SNH, 2004. NVC survey of West Lothian SSSI’s: Carriber Glen, Cobbinshaw Moss, Hermand Birchwood, Linlithgow Loch, Philistoun Muir, Tailend Moss, Airhouse Wood, Avenil Hill&Gorge, Colmsliehill Junipers, Drone Moss, Glennkinnon Burn, Henderland Bank, Jedwater Woods, Kirkhope Linns, Langton Lees, Minto Craigs, Nut Wood, Pease Bay, Plora Wood, Whim Bog. NVC survey of Ben Lawers SAC for client SNH & National Trust for Scotland, 2003. NVC survey & Phase 2 Impact survey of section of Drumochter Hills SAC, Phase I habitat survey of proposed line route, Preparation of vegetation/flora sections of Environmental Statement, Initial protected species survey along proposed line route. ScotRail, 2002. Waverly Railway Line Reinstatement: Phase I Habitat Survey of route corridor; Ecological Impact Assessment for habitats/flora. Ecological Assessments for EIA of proposed developments for various clients including water and energy companies, local authorities, private developers: NVC & Phase I Habitat Survey. Survey/assessment of amphibians, badger, otter, water vole; mitigation proposals. Scottish Enterprise Lanarkshire, 1999 – 2003. Gartcosh and Ravenscraig Redevelopment Sites: Amphibian survey, mitigation proposals, monitoring and translocation of great crested newt, Vegetation/plant survey and mitigation proposals, Habitat creation, including ponds, meadow, woodland, swamp; fen translocation. Conservation Management Plans for various Local Authorities: NVC; ecological assessment and management proposals; habitat restoration proposals. City of Edinburgh Council, 2001: Extended Phase I Habitat Survey of all SSSIs and SINCs. Motherwell Council, 2001. NVC survey and management/restoration proposals for Greenhead Moss. SNH, 2001: Clyde Valley Orchard Survey. Habitat survey; owner/orchard information questionnaire/database; conservation proposals. SNH, 2000. Amphibian Surveys of East Highland Region. Stirling District Council, 2000. Invasive alien plant (riparian) survey of Stirling District. Northern Ireland Countryside Survey 2000 Project. NVC of selected grasslands, mires and tall-herb communities. Assessment of Commons, SINCs and SSSIs; and provision of management advice. Fieldwork for Morpeth bypass EIA for client Northumberland County Council. Phase I habitat survey of River Tweed and tributaries for client English Nature. NVC surveys of calcicolous and montane grasslands, woodlands, heaths and saltmarsh. NVC survey of extension to Ingleborough NNR for English Nature as dissertation project. Management plan of Dorset heathland. Survey of flora, Lepidoptera, Odonata, reptiles and birds. Habitat management, estate work, interpretation, guided walks, staff supervision.